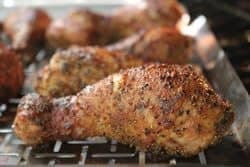 These smoked drunken drumsticks are brined in beer then seasoned with Jeff’s Texas style rub recipe (purchase recipes here) for a flavor that will please the most persnickety taste buds. 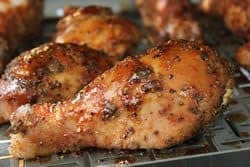 The chicken legs are then smoked at higher than normal temperatures to help crisp them up and finished perfectly by brushing on a beer barbecue sauce using my very own barbecue sauce recipe as the base. 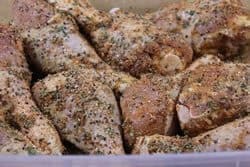 I normally use my original rub recipe on poultry but I decided to bring out the Texas style rub on this chicken and it was just what the doctor ordered and seasoned them up perfectly! 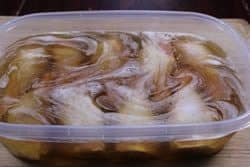 *If you do not want to use beer in the brine or in the barbecue sauce below, I have tried this with root beer (and various other soft drinks) as an alternative and it works very well. Fill a large container such as a pitcher or bowl with 40 ounces (1 quart + 1 cup) cold water. 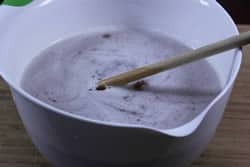 Stir in ½ cup of kosher salt and continue to stir until salt is diluted into the water and the water becomes clear. Stir in ½ cup brown sugar making sure it is melted into the water. I usually use a 1-gallon pitcher for this but it was in use for something else so I used a large mixing bowl with a pour spout. 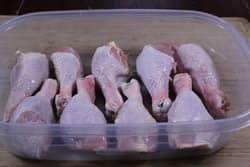 Add the drumsticks to a lidded container for brining. If you see any large clumps of fat or extra skin, now is a great time to go ahead and remove it with kitchen shears or a sharp knife. Once all of the chicken is in the container, pour the brine over the chicken to cover. Cover with the lid, plastic wrap, etc. and place the brining chicken into the fridge for 3 hours. At the end of the brining time, discard the liquid brine and rinse each piece of chicken to remove any residual salt. Lay the chicken on several layers of paper towels to drain before proceeding to the next step. I rinsed the brining container and used it for the seasoning process to contain the mess. Drizzle olive oil or vegetable oil onto the chicken and use a basting brush to spread it out. Move the chicken around to make sure it is well coated. 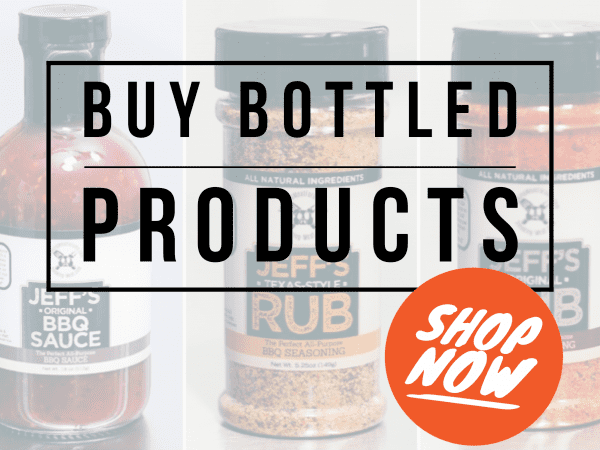 Season generously with Jeff's Texas style rub (purchase recipes here) then roll each piece over and season the other side. 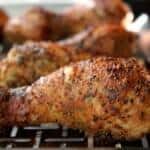 Make sure the Texas style rub recipe is on all sides of the chicken. This is optional but I highly recommend it. I chopped 2-3 tablespoons of parsley and chives and sprinkled it all over the chicken making sure it was well represented. These are not strong tasting herbs so don't be afraid of it. It will add great color and another layer of subtle flavor. Place the chicken legs/drumsticks on a Bradley rack or Weber grill pan for easy transport to and from the smoker. 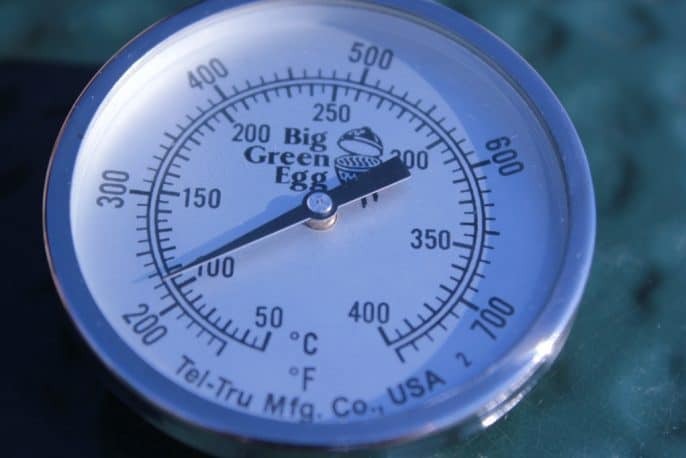 Setup your smoker or grill for cooking at 275-300°F with indirect heat. You can cook them lower at around 225°F (I do this sometimes) but the skin will not have a good bite through. I used the Traeger Lil Texas on these so higher temperatures was no problem. 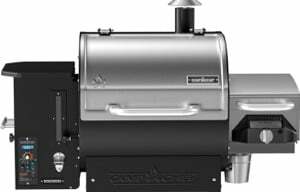 A few other units that would work particularly well on these are the Weber Smoky Mountain, Almost any Kamado type cooker including, but not limited to, the Big Green Egg, Landmann propane smokers, and even your gas grill with some wood chips wrapped in foil placed over the burner. If you normally use a water pan, I recommend leaving it dry. 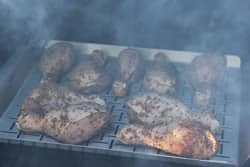 When cooking chicken legs, thighs or quarters, I seem to get better results in a smoking environment with lower humidity. 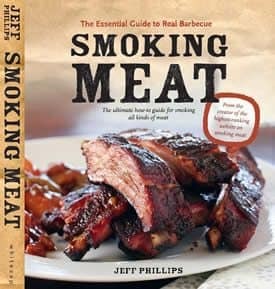 Keep the smoke going for the entire time for great flavor. I recommend cherry, apple or pecan if you have any of these. Use a quick read thermometer to check the temperature after about 1 hour or you can use a thermometer with a leave-in probe to keep you aware of the temperature throughout the entire process. The digital probe meat thermometer that I use most is the Maverick ET-733. It is around $69 on Amazon and should last you for many years if you take care of it properly. 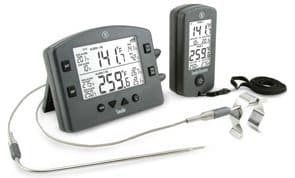 This model comes with dual probes (one for the meat and one that clips to the grate to tell you the smoker temperature) and is wireless and has a range of up to 300 feet or so. Thermapen, made by Thermoworks, is by far the fastest reading and highest quality in quick read thermometers on the market. 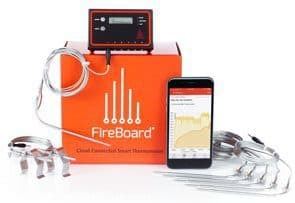 The Thermopop is made by the same company, reads very quickly (around 5 seconds) and is on sale for a limited time for only $20.30 (normally $29) so this is a great time to grab one if you want one. You really can't go wrong with a Thermapen or a Thermopop if fast and accurate is what you're after. 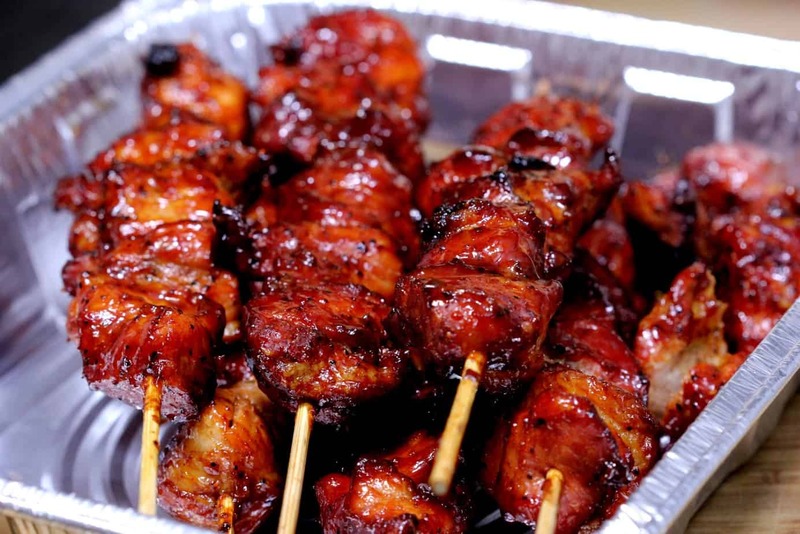 When the drumsticks reach 160°F, spoon some beer barbecue sauce onto the drumsticks. 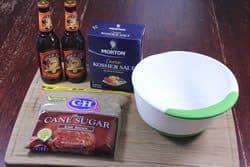 Beer barbecue sauce is simply about a cup of my barbecue sauce (purchase recipes here) mixed with equal parts of beer or until it gets to the consistency that you like. I say “spoon it” simply because we do not want to disturb or brush off the seasoning that we applied. 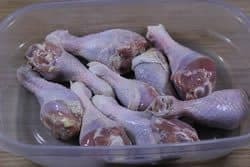 A turkey baster would also work well to pick up some of the sauce and apply it to the drumsticks in a way that does not wash away the seasoning. The chicken is done at 165°F and takes about 1.5 hours at 275-300°F. A few words on skin crispiness..
Outside of a frying pan, chicken skin is never going to truly be crispy. 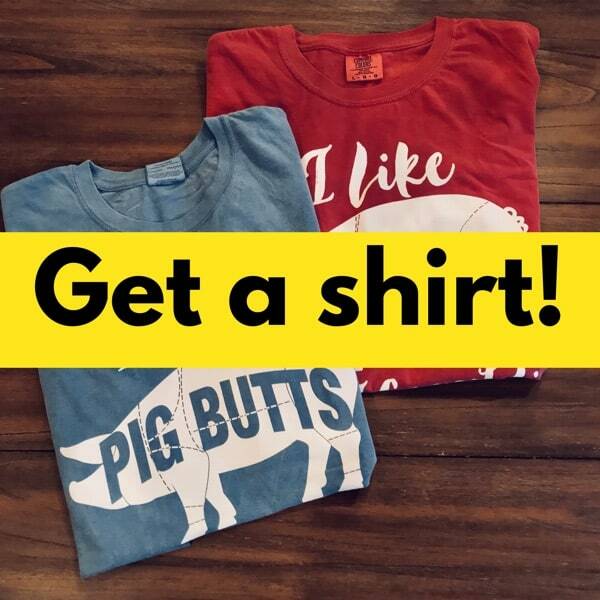 You are going for various levels of bite-through and anti-chewiness but, not really crispy. I say this so you won't be disappointed when it doesn't snap, crackle and pop when you bite into it. It's all about heat and if you cook chicken with high enough heat, it will get really good bite-through. The problem for us is that most smokers are not designed for high heat and therefore leaves chicken lovers wanting a little more. I can tell you that I have played around with smoking and then frying chicken for great results but I have have also grown to love smoked chicken even if the skin is not crisp. 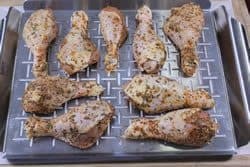 When cooking chicken, go high with the heat if you can or smoke it for half the time and then use the oven or grill to finish if that's what you have to do. Once the chicken is done, serve it up right away while it's still hot! My smoked drunken drumsticks are brined in beer then smoked at higher than normal temperatures to crisp the skin. 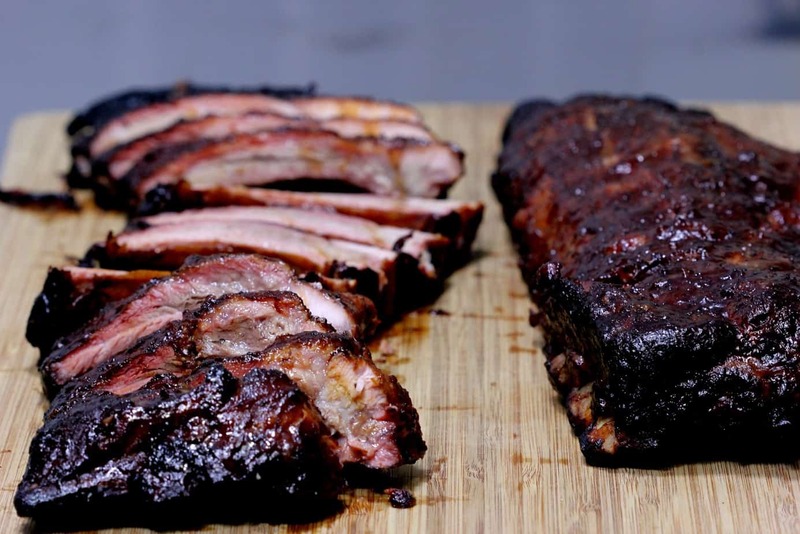 Finished perfectly with beer barbecue sauce. 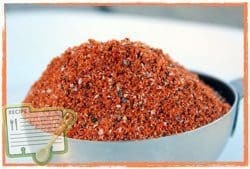 Season generously with Jeff's Texas style rub then roll each piece over and season the other side. Chop 2-3 tablespoons of parsley and chives and sprinkle it all over the chicken. 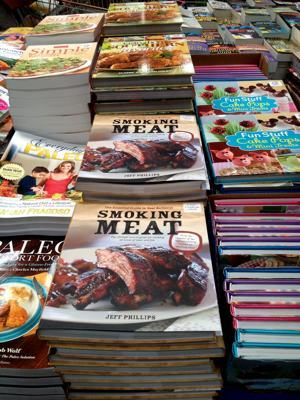 Setup your smoker or grill for cooking at 275-300°F with indirect heat. 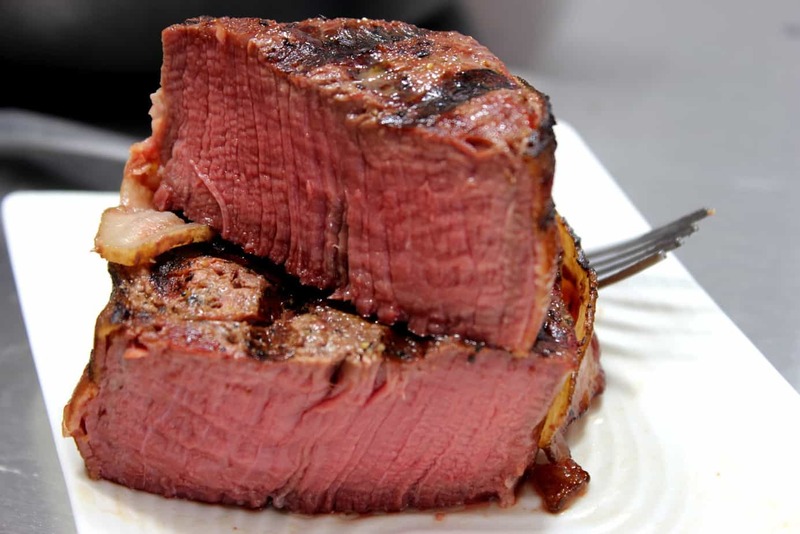 You can cook them lower at around 225°F but the skin will not have a good bite through. Use a quick read thermometer to check the temperature after about 45 minutes or you can use a thermometer with a leave-in probe to keep you aware of the temperature throughout the entire process. 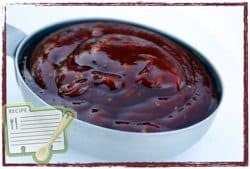 Beer barbecue sauce is simply about a cup of my barbecue sauce mixed with equal parts of beer or until it gets to the consistency that you like. I say "spoon it" simply because we do not want to disturb or brush off the seasoning that we applied. 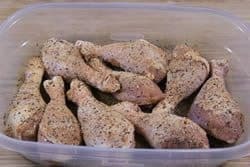 A turkey baster would also work well to pick up some of the sauce and apply it to the drumsticks in a way that does not wash away the seasoning. The chicken is done at 165°F. 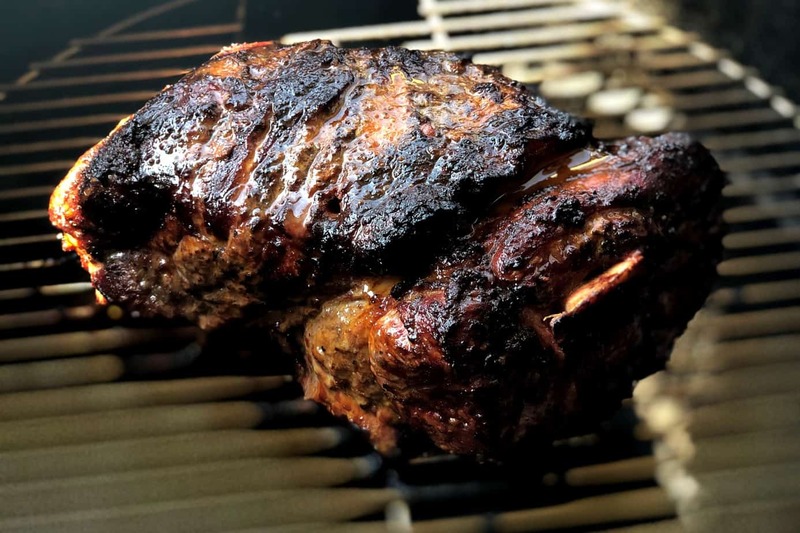 Can this recipe be used in an electric smoker? Mine will usually get up to 250-260. 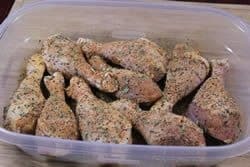 Do you think it would be ok to brine the chicken over night in the fridge? or would the 3 hoUrsula be your recommendation? 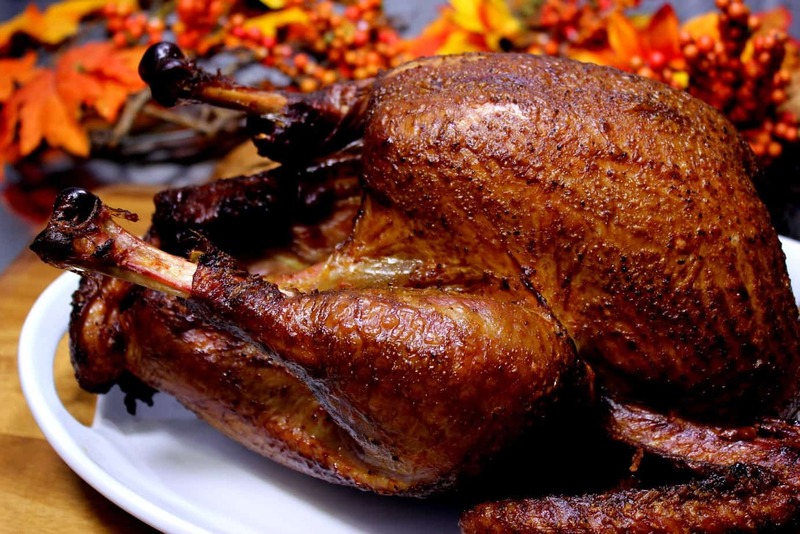 Thank you for your patience.. it is not a good idea (in my opinion) to brine chicken any longer than you have to. Brining changes the texture of the meat and if you leave it in too long, it can get an odd texture that is not desired. 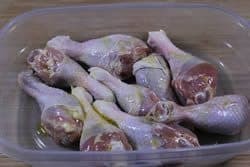 It would be fine to brine the chicken, rinse it then place it back in the fridge to hold it till the next morning if that would be helpful. would it be ok if I brine them over night?? I just thought everyone should know this makes the most amazing chicken you’ve ever had. Tried it twice and both times we were blown away. Made these on my Pitt Boss pellet smoker, wow!! Awesome recipe, everybody was blown away by how delicious these were! Made no changes to the recipe and am doing this recipe again for a Mother’s Day cookout! Jeff: Another great sounding recipe!! I have 2 questions on it. 1. 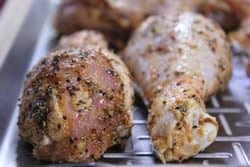 Have you tried or any recommendation on adjustments to do Chicken breasts with it, my family are not into drumsticks. 2. Any type or style of beer you recommend? IPA, amber, lager, Stout, red…..
1. I have not tried chicken breasts with this recipe but it would work just fine. If you get the boneless/skinless variety, you may want to lay a few short slices of bacon over the top to keep the outside of the chicken from drying out while it cooks. 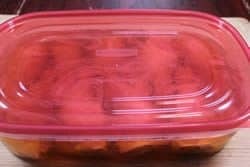 Chicken breasts are not as forgiving to over cooking due to having less fat so the brining is important. Be sure to watch the temperature carefully and remove the chicken when it hits about 165°F. 2. I normally use Shiner Bock but any dark lager will work great in my opinion.